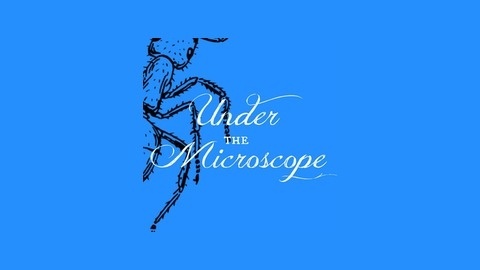 Under the Microscope is a natural science and biology podcast with thought provoking discussions, insightful wit, interviews from top professions in the field, and a little bit of... a lot a bit of goofing off. Check us out and be a part of the bi-weekly discussion with us! This episode is split into 3 great snippets. 1. 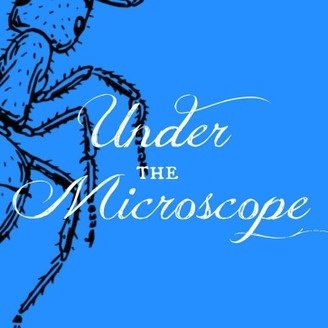 We give you a look at the biological interaction, mutualistic symbiosis. Like a bird hanging out in the mouth of an alligator, a clown fish's friendship with an anemone, and more. 2. Shark attack! Don't worry, we try to dispel the fears out there. Do you know the difference between venom and poison? Find out! We talk about 'killer' selfies. Yes, people taking selfies with dangerous animals including beavers; what?! We discuss a blog from Bill Gates. Clint and Daniel also talk about the most dangerous frog in the world! 3. Everyone knows that camels store water in their humps, right? No! Have you ever wondered how long a goldfish memory really is? How many spiders do you swallow in your sleep? Are dogs color blind? I touched a baby bird as a kid, did its mother abandon it forever?! WHO KNOWS?! Oh.. we do, so listen as we dispel common myths and misunderstandings of the animal world in 7 minutes.